LDWA, Regular Irregular, and The Beast. 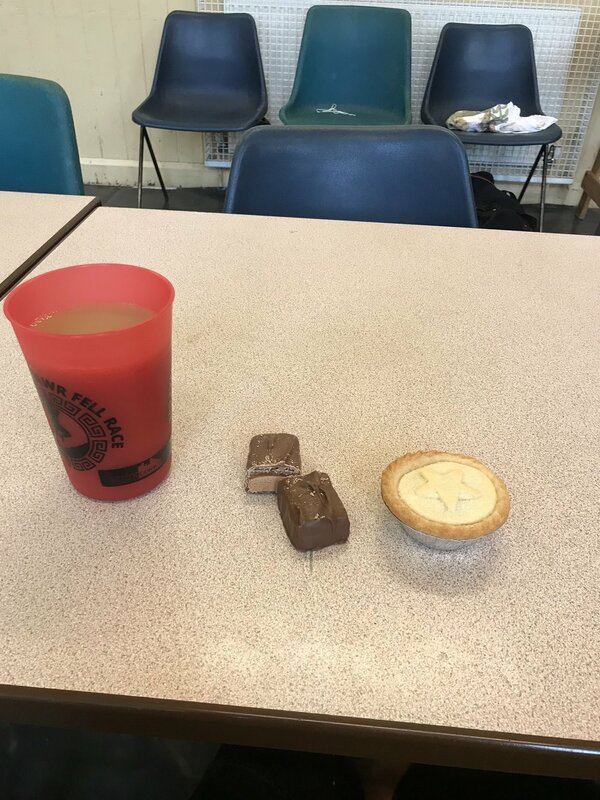 After a busy week despite it being the run up to Christmas, the weekend was to be welcomed with the Regular Irregular, but an incipient cold was hanging over me. The LDWA is the Long Distance Walking Association, an organisation Claire and I are members of, and at times we run at their events. 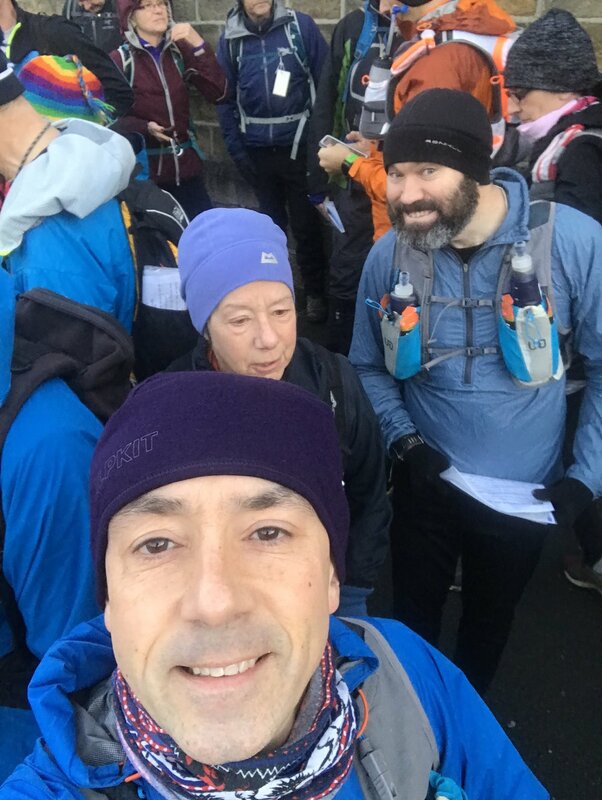 The organisation’s members run a series of walking events that are precise in terms of organisation, interesting in terms of route, and can be challenging due to distance and terrain. Some events are open to runners, predominately fell or trail, who set off after the walkers. As the name suggests routes are long and are a great way of building up the running mileage. 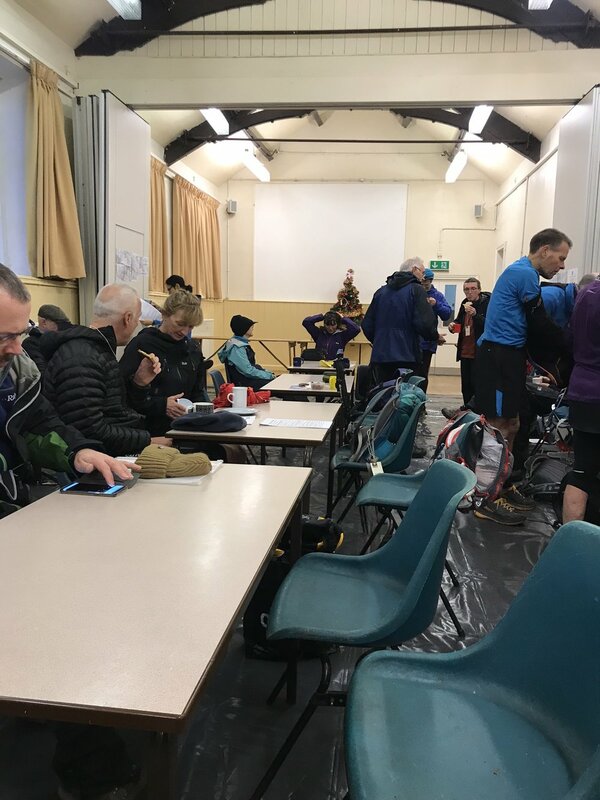 One thing about the LDWA is the food and drink laid on at checkpoints and race start/finish locations; varied, hot and cold, and loads of cake - I like cake. Saturday saw the The Irregulars, one of the LDWA groups put on the Regular Irregular event starting at Brockholes Village Hall. The event saw myself and Stu Hutchinson aka “The Beast” run as a pair. To run the total event you complete three loops, with your choosing your order. The goal being to run as many loops as possible… Loops are 11.6 miles, 7.2 miles and 4.2 miles (18.5km, 11.5km or 6.7km). So a total of 23 miles if all three are completed. The common approach is to run 11.6, then 7.2, then the 4.2 miles. Stu and I being pushed for time elected to run 11.6 and 4.2 miles and viewed the event as a means of getting miles in our legs. The other Saddleworth Runners chose to run all three loops. The weather was cool, windy, with a foreboding of rain as we started at 8.30am. We’d registered and had a brew so were happy. I had the start of a cold that came on the night before and was a bit tired and with aches. As we progressed the wind picked up considerably making running difficult at times. The company was good as Stu and I chatted. Half way into the long loop the weather saw sheets of dizzle and gusts, but then improved toward the end as we headed back to Brockholes with the sun saying hello and it getting warm enough for coats to be taken off. We’d printed off the maps and route description but we were relying on GPX files I’d downloaded for each route. Navigation was a combination of following people, chatting, and using the Garmin Fenix. The loop saw a combination of bridleway, path, tarmac, wood, and was quite varied with approximately 1.8k of cumulative climb: STRAVA. The ground at times was muddy underfoot due to rainfall and my Inov-8 Rocklites did not have much purchase. Water courses were clearly in flood. On getting back to HQ I was delighted at the sheer selection of food and proceeded to trough and I mean really trough. Mr Piggy eventually filled his boots and we headed out for the short loop, and this time had a third Musketeer in the guise of Jenny from Rochdale Harriers & AC who’d asked if she could join The Beast and I on the short loop. We did point out we had not dug the map or description out, actually we could not be arsed and explained we were relying on my Garmin Fenix and the GPX. We covered ourselves by explaining a “monkey” was in charge of the Garmin. Off we plodded and being a shorter route saw changes in the route that were quite precise and not easily read off a Fenix watch. First error led us down a road for about 300 metres to then head back. The second spectacular error saw us head into a forest following a path when in fact we should have continued on down a farm track. After buggering about climbing through bramble and hawthorn and farmer’s field we were back on track. Jenny was polite, The Beast had dug map out and had his head in it. We made it back and correct to Brockholes and managed to add on 0.6 of a mile due to errors: STRAVA. We chilled out at the HQ and proceeded to eat, or more accurately gobble the food down (me). The highlight for me was hot custard drowning a big slice of Swiss Roll while nattering with Kate Saville, a fellow Saddleworth Runnner. The Beast was meanwhile putting his Sunday Best on. The cold I’d picked up was by now chipping in and I was tired and aching. It was also clear that I am out of form for longs, and not good with The Trigger and The Hebden coming up in January; additionally my left bum cheek (glute) was wrecking me on the last tarmac stretch back on the long loop. As we headed back home the weather really opened up and it was raining by the bucket load as we drove over the Isle of Skye road (local name for the Greenfield/Holmfirth Road) with the wind driving rain drops sideward. We thought of and felt sorry for the runners and especially walkers still out there. Worthwhile, but it has brought home the fact I have to get my arse out and cover some mileage.